Traditional Home magazine features our Coliseum design in Nero Marquina in the June “curated spotlight” feature! 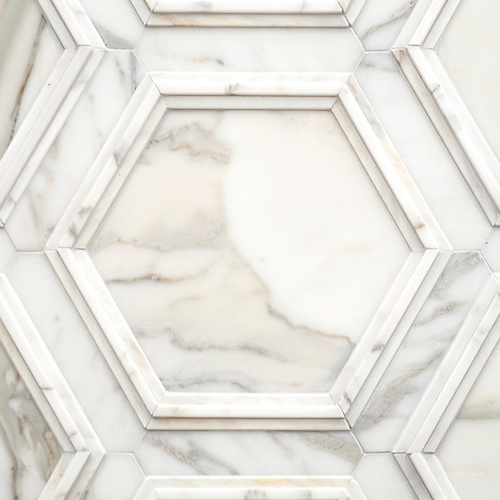 Coliseum, a mosaic from our Altimetry Collection by Sara Baldwin Design, uses raised and Venetian honed marble stalks to accentuate luxuriously smooth large-scale Nero Marquina hexagons. This pattern would make a wall irresistible to touch and can be used with almost any marble you prefer. Check out the feature below! 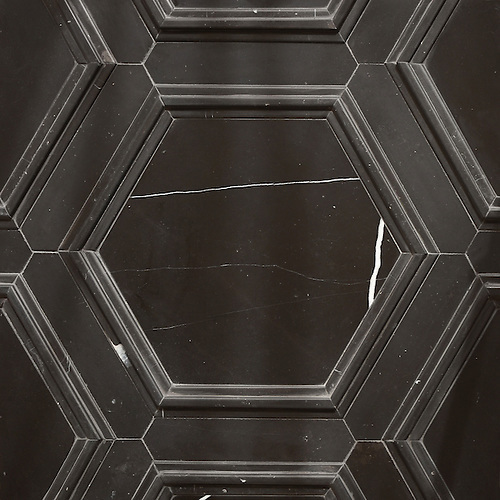 Coliseum, a stone waterjet mosaic, shown in honed Nero Marquina and Venetian honed Nero Marquina, is part of the Altimetry Collection for New Ravenna. Coliseum, a stone waterjet mosaic, shown in honed Calacatta and Venetian honed Calacatta, is part of the Altimetry Collection for New Ravenna.